Dishwasher may break down any moment and washing up takes up a lot of time and effort. Bosch Dishwasher is one of those brands which often need to be repaired. This takes place for a lot of reasons. Here we discuss about the problems that your Bosch Dishwasher can face. The common problems that arise with the Bosch dishwasher are partly because of the manner in which the Bosch dishwashers work. Bosch dishwasher does not use the standard heating element to make the dishes dry. It uses the method of pulling moisture off of the dishes by condensing the water on the back wall. The issue with this method is that it can often leave the dishes still damp or even wet when the cycle is over. There are other major parts that can cause problems in Bosch dishwasher. 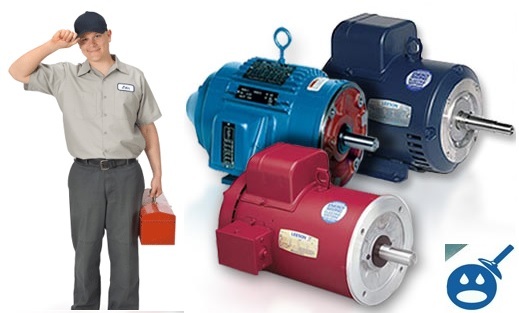 The first is the timer motor which causes the cycles to begin and end. If this part is malfunctioning you may face washing and or cycle times taking a lot of time or getting over so quickly that the dishes are still dirty. 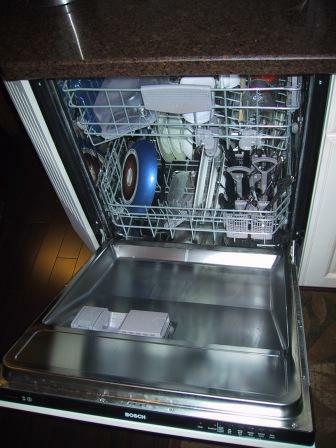 Other problems in this part can lead to the dishwasher never draining out and getting overfilled. However, if you notice that the selector switch is working alright and you have drained out the excess water it could be the timer motor which is actually causing the problem. You can replace the timer motor at home but first make sure you bring a professional to take a look if your dishwasher is newly brought. Another major portion of the Bosch dishwasher is the sprayer arm. This could result in dirty dishes or dishes with soap remains. You need to make sure that all of the holes are clear of buildup and are not being blocked by any large dish or pan which you may be trying to fit in the dishwasher. The other common issue with this dishwasher is the problem of rusting. This can destroy the cleaning cycles, so you need to take care of this. If the racks have turned rusty it is time replace them. Sometimes the appliance shops deliver older and used products at cheap prices. IN such a case you will need to clean the inside with oxalic acid. The other problems which you might face with a Bosch dishwasher are lower spray arm may get cracked, the soap dispenser might not close properly, and the seal at the bottom of the dishwasher might leak. How to Repair Bosch Dishwasher? If you are tired of working with your dishwasher and are looking for a solution here we discuss the Bosch dishwasher troubleshooting of some of the common problems. If the spray arms are clogged with food, grease and dirt, the dishwashing will take time and the cleaning also may not be proper. Thus the spray arm should be cleaned regularly. Repairing a clogged spray arm should be done in the following manner. Firstly, you need to turn off the dishwasher and open the door and take out everything. 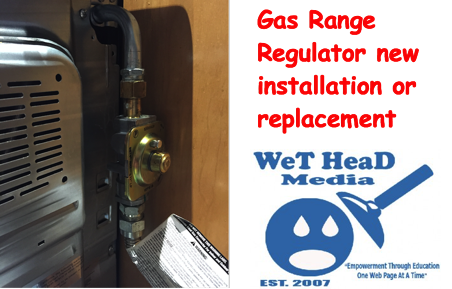 The spray arms should be inspected if they are carrying grease and limescale deposits. If the arms are dirty, fill the detergent dispense with detergents. Now start the dishwasher without the utensils inside using the highest rinsing temperature. Open the door when the washing cycle is over. Turn the locking ring on the upper wash arm clockwise to a one-eighth to release the arm. The lower wash arm snaps into place, so pull it up and place it away. Inspect both arms and remove obstructions like food or grease that could clog spray openings. Clean the arms with appliance cleaner and a soft cloth after which you will reinstall them. If the door handle of the Bosch dishwasher has broken down, the door will not shut down. As a result the dishwasher will not function properly since a sensor has been placed to detect whether the door is open or closed. To repair the dishwasher you must remove the control panel and then the broken handle must be replaced. The circuit breaker in the service panel should be turned off. The dishwasher door is then opened and the six screws are also removed when securing the control panel from the top of the inner door panel. Now close the dishwasher door but not close the latch. Next remove the connectors and tilt the control panel down. You have to depress the tab on the connector to remove each connector. Once done you will need to pull off the connector from the control panel. Now depress the four locking tabs on the control panel frame and then remove the user interface panel from the frame. To side the handle down you have to depress the tabs above the door handle assembly. Now install the new door handle assembly into the user interface to make sure that the tabs are locked in place. Now fix the user interface back into the control panel frame. Revive the wire connectors and attach them to the control panel and then place the control panel in line with the top of the door. Now fix the control panels to the door with the help of screws which were removed from the inner door panel. Shut the dishwasher door and switch on the power supply to the dishwasher. The door handle of the dishwasher may get loose with time since the screws holding it in place expand and contract under the impact of the heat of the dishwasher. Switch off the circuit breaker since there area wires near the handle area. Open the dishwasher and locate the Torx screws on the outside of the door and remove them with Torx driver. Now slowly lift the inner door panel while holding the outer door. The inner door panel should rest against the front of the dishwasher. Now find the screws of the door handle on the interior part of the outer door and tighten them with a Phillips screwdriver. Now lock the panels together with the Torx screws. Close the dishwasher door and switch on the circuit breaker. There are several other problems which can be solved. Below given are the solutions to few of such problems which you may encounter. If your Bosch dishwasher is not starting it may be due to the door not properly closed. If the door is not properly closed and latched, the unit will not take a start. If the unit is not turned on, it will not start, you need to check if the unit has been switched on. Also check the delay start settings, if it is activated you will need to deactivate it. Check if the circuit breaker for the outlet the dishwashers have been plugged into, if the breaker has been tripped, you have to reset it. If the child clock is activated, you will have to deactivate it. If you have not selected any dishwasher, the appliance will not start. Also, if the water supply leading to the dishwasher is not turned on fully it will not start. Clean the filter if it has got clogged as it will block the dishwasher’s cleaning capability. Check if the spray arm is rotating fully. Remove objects that are blocking the path of the spray. Rearrange the position of the dishes so that the water spray reaches all the items equally. Dishes packed too close together will not get cleaned properly. Increase or reduce the amount of detergents used according to the water available at home. Soft water requires less detergent and hard water needs more detergent. Select a different washing cycle setting which is appropriate for the type of dish load that is inserted for washing. How to Clean Dishwasher Filter? If your Bosch dishwasher is having trouble in draining, it might be due to a dirty dishwasher filter. Cleaning the filter can offer a long term solution to any draining issue. But, before you can clean the filter you must manually drain out any water that is still accumulated in the dishwasher from its last wash cycle. The cleaning of the filter involves a series of steps. Surround the area around the Bosch dishwasher with towels to soak any water which leaks out. Open the dishwasher and take out the bottom dish rack. This can be done by pulling the rack out from the dishwasher. Remove water from the dishwasher with the help of a cup and throw it way. Now you need to rotate the drain filter latch counterclockwise till the filter can be pulled off and away from the Bosch dishwasher. Scrub the filter while immersing the filter in soapy water with the help of a scrub brush to remove any build up or blockage. Rinse out any leftover soap remains from the filter with clean water. Now insert the filter back into its cradle in the Bosch dishwasher and fit the latch clockwise to lock it in place. The above tips will assist you as a guide in how to handle your dishwasher and also allows you to understand the structure and construction of your Bosch dishwasher. With these solutions in hand you can now take proper care of your dishwasher. One major problem with Bosch dishawashers is they use an underrated relay I their timer board. The problem usually show up when the DW never seems to finish it’s cycle. This that have a count down display will countdown to close to, or to, 1 minute, and just stay there trying to finish. When you open up the control, you may or may not find a burned place on the solder side of the circuit board. The burned place is a secondary indication of the relay failure. Many relays I have replaced have failed, but there was no indication of the relay being bad. Replacing the control with a new one just buys you the same problem again. I replace the relay with a more robust design, and beef up the circuit board for the high current handling lands that that relay handles the current for. All is done using industry accepted practices, and the board should never be a problem to you again. Even if your control is currently working properly, it will fail at some point in the future due to this design flaw. Email me at BoschRepair “at” tx.rr.com for more information. Biggest issue with the Bosch appliances is the cheap thin plastic they use for their housing. The entire front handle area has cracked away on a 3 year old unit. The Dishwasher works great but the housing is so thin. The clothes washers are the same. Ours, and two other I know of, have all of the areas around the screws that hold the top in place completely cracked. The screws don’t even have any pressure on them! Really poor grade of materials used in the shell of the appliance. Some problems can occur in any brand of dishwashers including Bosch dishwashers. To prevent this, we all need to take a recommended usage process that could avoid needing a service man to come visit our house. I have a Bosch dishwasher and it is working good till now. I have read your post and got aware of the problems/repairs about this dishwasher. Thanks for sharing such a nice post. I found the replacement procedure for the relay problem described by Mark above. I searched for “bosch control board” and there it was, a complete howto. I fixed mine. It is very easy. thank you. community where I can get responses from other experienced people thuat share the same interest. If you have any recommendations, please let mme know.